Starting a business in Nigeria, like many other countries, usually comes with many road bumps. It is not just enough to have a brilliant idea that can be built into a mega business; more is required than just a good thought process. More often than not, entrepreneurs would always believe that raising enough capital to run a business is the most important factor. After all, we all at a time attended that Economics class where we were taught that money is the most important element to drive a business to success. At Jumia Travel, we believe there are other elements that are as important as capital for a business to grow. Some of these will include, but not limited to, creating a comfortable environment for startup owners and investors to relate, providing essential support to ensure that the business survives and caters to the socio-economic environment by creating jobs, providing substantial dose of mentorship, business advisory supports, peer learning network and enriching the development process for these startups. There are a number of platforms created by individuals and some by a group of individuals who are committed to helping others grow their businesses. These platforms have been created to provide necessary expert support in different areas that are affected by the businesses i.e. marketing, innovation, customer service, branding etc. To mention but a few, Lagos Startup, Startup Friday, IC-Cube Startup Conference & Exhibition, Nigeria Small Business Summit and Startup Lagos Conference are some of the platforms that have provided startups with the needed intellectual infrastructure supports. 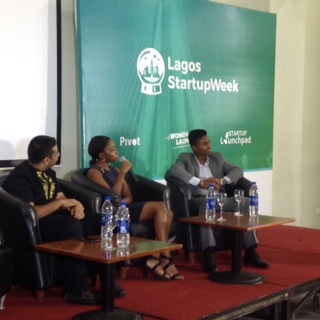 Just last week, the second edition of the Lagos Startup Week was held at Oriental Hotel Lagos. It was a weeklong of activities – from paper presentation to panel discussions and Q&A sessions. As a supporter of SMEs, Jumia Travel was among the many sponsors of the event. As a form of recognition of its leadership position in the ecommerce industry, the company’s Managing Director in Nigeria Kushal Dutta was invited as a panelist to speak on the “The Future of Ecommerce, Retail and Payments in Nigeria”. During the panel discussion, Kushal made some interesting revelations about digital penetration. For instance, he made a distinction between internet penetration and e-commerce penetration. According to Kushal, these two are often misconstrued to be same. The success of e-commerce largely depends on internet penetration because if people don’t have access to the internet, it becomes impossible for them to transact on any ecommerce platform. He stressed that because of the high penetration of the internet, it’s profitable to spend money on online promotions as it has the potential to impact ROI measurably through online sales. A comparative look at the internet users in Nigeria between 2015 and 2016 clearly shows that the country is ripe for ecommerce businesses to thrive, if we were to judge by access to the internet. As at July 1, 2016, there were about 86,219,965 internet users in Nigeria which is about 46.1% of the entire population. The percentage is expected to grow by 2.63% by 2017 whereas there were only about 82,094,998 internet users in 2015 which represented 45.1% of the population. A lot of aspiring entrepreneurs should look at venturing into ecommerce business as it’s evident that internet penetration in the country is growing astronomically. Kushal also advised the participants against looking for investors when the business idea has not been properly thought through and no scalable model is already in place with a well-defined market. This, he said, might prevent investors from investing their capital in the business. He made reference to MTN’s involvement in Jumia’s business as a result of the scalable business plan that the organization has put in place. MTN was able to key into the vision after it saw its profitability circle as a business. Even though the current climate of the Nigerian economy has been quite unconducive due to a number of reasons but top on the list the recession, aspiring entrepreneurs should be encouraged and groomed into becoming successful business owners. True, there are platforms cropping up every day to cater to these needs. Yet, more and more collaboration still needs to be done. At least, that’s what we believe at Jumia Travel.